Chainsaw Scabbards are designed to carry a chainsaw attached to a western saddle on the off side of the horse. 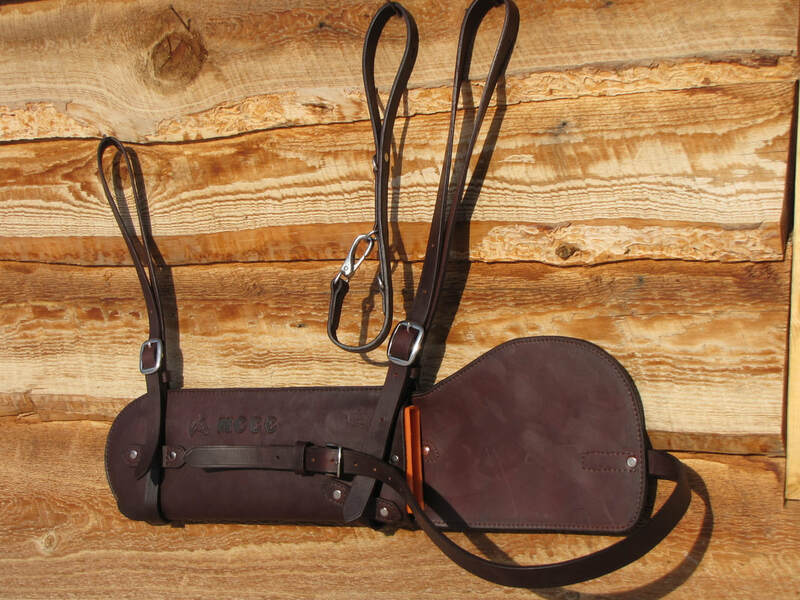 The front strap goes around the gullet, the back strap attaches to the back D-ring and a separate strap loops over the saddle horn and is closed around the handle of the chainsaw. The chainsaw stays securely on the saddle and can still be accessed quickly. 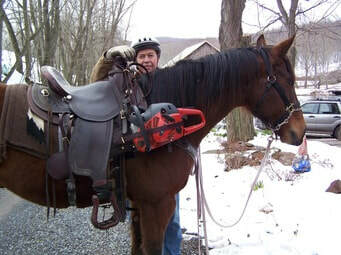 To counterbalance the weight of the saw it is a good idea to also carry a Rifle Scabbard or saddle bag attached on the left side of the saddle. A plastic chain guard is riveted inside the bar piece to protect the lather from the chain. The bar can be up to 22". A good choice of leather is the heavy Latigo or Harness leather which are both tanned with oils and waxes and good outdoor Leather choices. The burgundy Latigo leather can rub off color on saddle pads. 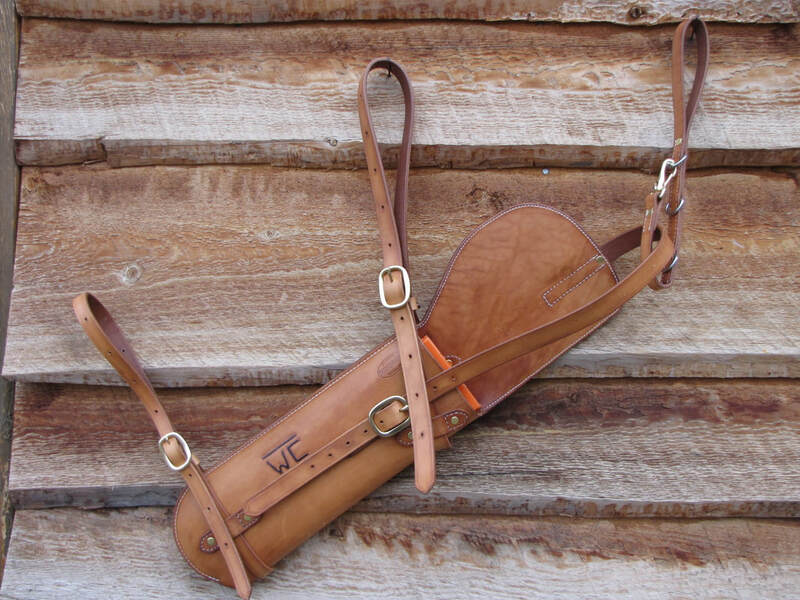 The scabbards can also be made in different colors to match a saddle with English bridle leather. Included are initials, name, animal stamp or a ranch brand tooling. See the Design Page for choices of colors, stamps and lettering. For questions and to order please email me.